From the Archive: The threat from Pakistan’s nukes began with Ronald Reagan’s deal trading U.S. acquiescence on nukes for Pakistani help organizing Islamist militants to fight Soviets in Afghanistan, wrote ex-CIA analyst Peter W. Dickson in 2008. What’s left out of a movie about history often interests only a few experts in the field. However, the release of one that chronicles the successful sub rosa American effort to bleed the Soviet Army in Afghanistan in the 1980s may prove to be an exception. “Charlie Wilson’s War,” which stars Tom Hanks, tells the story of a hard-drinking, womanizing Texas congressman who nudged Congress and the Reagan administration to give more arms, especially high-tech Stinger missiles, to shoot down Soviet helicopters in Afghanistan in the 1980s. But the movie distorts or leaves out a number of crucial details. The movie opens with Wilson’s conversion to a sympathetic attitude toward Muslims while sitting in a hot tub with several naked women in the Fantasy Suite at Caesar’s Palace in Las Vegas. While frolicking in the tub, Wilson glances at a televised report of Dan Rather interviewing Afghan fighters. A visibly disturbed Wilson suddenly decides something must be done to help these people being butchered by the Soviet Army, which had invaded their country in December 1979. The truth was quite different and evidently too awkward politically for the film producers to portray. According to the book by George Crile upon which the film is based, the hot tub scene took place in June 1980. Crile describes Wilson’s sudden conversion to a sympathetic position toward Muslims as occurring in October 1982 when the Texas congressman, fully-clothed, visited Lebanese refugee camps after the Israeli invasion of that country. Previously a staunch supporter of the Jewish state, Wilson was shocked by what he saw in those refugee camps, instilling in him empathy toward Muslims that evolved into his zealous support of the jihad against the Soviets in Afghanistan. But surely the most glaring omission in the film is the fateful trade-off accepted by President Ronald Reagan when he agreed not to complain about Pakistan’s efforts to acquire a nuclear weapons capability in exchange for Pakistani cooperation in helping the Afghan rebels. On page 463 of his book, Crile characterizes this deal or understanding as “the dirty little secret of the Afghan war” – General Zia al-Haq’s ability to extract not only “massive aid” from Washington but also to secure Reagan’s acquiescence in Pakistan’s nuclear weapons program via a congressional waiver of U.S. nonproliferation laws in December 1981. This bargain may have been dirty but it certainly was no secret. Indeed, Washington’s acquiescence via the congressional waiver was the subject of continuing press coverage throughout the 1980s. But this history remains a taboo topic for many within the Washington Establishment, especially those who look back favorably on the Reagan presidency. Bob Woodward in his 1987 book Veil about the notorious CIA director of the era (William Casey) and Joseph Persico in his voluminous Casey biography published in 1990 discuss the aid program for the Afghan mujaheddin. But these authors don’t mention the Reagan-Zia bargain and how the congressional exemption granted to Islamabad in late 1981 effectively negated any intelligence reporting about the Pakistani nuclear weapons program from that point on. Likewise, Tim Weiner in his recent best-selling work, Legacy of Ashes The History of the CIA, is silent about how policy completely trumped intelligence on this crucial security issue. Robert Gates, Casey’s longtime deputy, provided rich detail on the covert military aid to the Afghan rebels and even discusses Wilson’s pivotal role on pages 320-321 in his own CIA-cleared memoir, From the Shadows. But Gates also doesn’t mention the waiver for Pakistan’s nuclear weapons program. The public also will find no mention of this issue in the new two-hour History Channel documentary about Wilson’s campaign to support the mujaheddin. However, the assassination of former Pakistani Prime Minister Benazir Bhutto puts into sharp relief the question that now unnerves U.S. policy-makers: Will political instability enable terrorist groups to gain access to Pakistan’s nuclear weapons? This question first troubled the U.S. government nearly 30 years ago, when it learned of Pakistan’s effort to acquire a nuclear weapons capability in the late 1970s. Press reports about Pakistani nuclear activities led President Jimmy Carter to cut off all aid to Islamabad on April 6, 1979, as required by U.S. counter-proliferation laws. After the Soviet invasion of Afghanistan in December 1979, Carter and his National Security Adviser Zbigniew Brzezinski tried to restore some aid to Pakistan, but their efforts were overtaken by the hostage crisis with Iran and the political distractions of the 1980 presidential campaign. 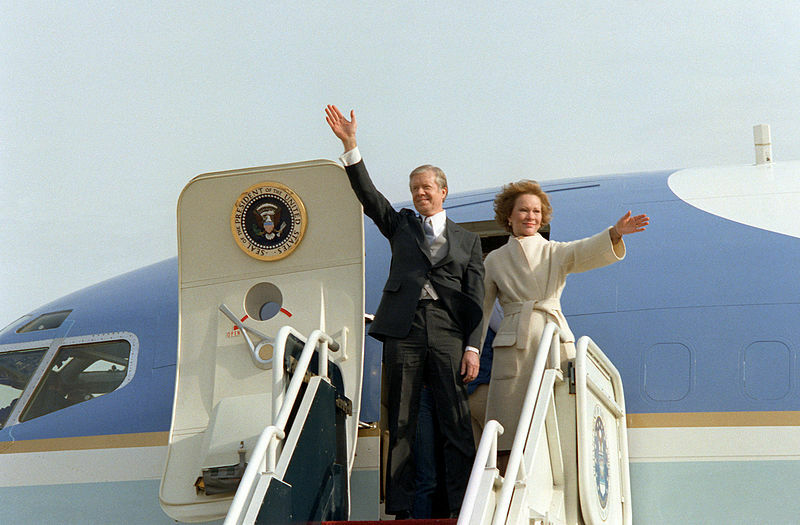 Former President Jimmy Carter and his wife Rosalynn departing Washington after the Inauguration of Ronald Reagan on Jan. 20, 1981. During that campaign, Reagan made it clear that he had little use for existing U.S. nonproliferation policy seeking to stop nations from developing nuclear weapons. “I just don’t think it’s any of our business,” the Republican presidential candidate said. 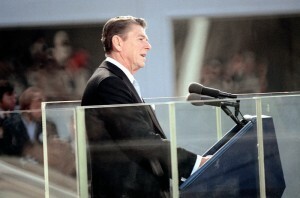 In the wake of his landslide victory in 1980, Reagan pressured Congress to resume military aid to Pakistan through a waiver of U.S. nonproliferation laws. Some congressional Democrats worried about the risks of looking the other way concerning Pakistan’s nuclear weapons program. But Charlie Wilson wasn’t one of them. One might have thought that the neoconservatives, such as Richard Perle and Paul Wolfowitz, who were emerging as influential voices during the early Reagan years, would have objected to American indifference toward an Islamic nuclear weapons program that could threaten Israel. But there is no record of any protest from them, either. Instead, as the movie makes clear, there was a strong desire to “get even” with the Soviets by tying them down in a quagmire in Afghanistan comparable to the one into which the U.S. sank in Vietnam. However, this retribution against the Soviets in Afghanistan required breaking the linkage, established in the Nonproliferation Act of 1978, between U.S. intelligence reporting and the legally mandated termination of all aid to any country found to be seeking nuclear weapons. So, Congress with the House still under Democratic control gave Reagan what he sought – a six-year waiver for Pakistan that enabled Washington to supply Zia the military aid he demanded, including F-16 fighter jets. Under these new rules, Reagan had to submit “annual reports” to Congress about Pakistan’s nuclear activities, but it was left to the President’s discretion what he would choose to reveal. From that point on, the Reagan administration never put any serious pressure on Islamabad to stop what it was doing on the nuclear front. But this see-no-evil approach ran into some embarrassments and difficulties, as Crile describes in his book. In 1985 and again in 1987, Pakistani nationals were arrested and indicted in U.S. courts for trying to acquire, inside the United States, high-tech components and materials for a nuclear device. In July 1985, an angry Congress retaliated by making the continuation of aid to Pakistan dependent on “annual certifications” from the White House that Pakistan “did not possess a nuclear weapon” and that the continuation of U.S. aid was helping to dissuade Islamabad from trying to acquire such a capability. Instead of highlighting the threat posed by a Pakistani nuclear weapons program, the Reagan administration postulated an optimistic “best-case” scenario, which downplayed the whole issue by claiming that the Pakistanis still had not crossed the “possession” threshold. That was essentially the argument that both Reagan and his successor, George H.W. Bush, made — and Congress accepted — from 1985 through 1989 even after the departure of the last Soviet troops from Afghanistan in February 1989. 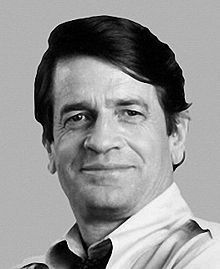 Determined to protect the pipeline for smuggling weapons to the Afghan mujaheddin, Charlie Wilson also helped deflect attention away from the Pakistani nuclear program in 1987 and 1988. Crile claims that Wilson made several successful efforts to blunt the impact of intelligence briefings about the status of the Pakistani nuclear program to congressional committees contemplating a cut-off of all aid at that time. Wilson’s alleged success in countering such briefings and blocking a congressional aid cut-off represented a classic case of the subordination of truth and law to raw power and political calculations. The movie producers evidently concluded that scenes of Wilson’s desperate efforts to cover up Pakistan’s nuclear ambitions would not look too good in the film, so that part of the story disappeared from the cinematic version of history. This deeper, darker saga would have conflicted with the filmmakers desire to highlight the heroic qualities of the movie’s main protagonist (Wilson played by Tom Hanks), not to mention the justness of the Afghan cause. Unfortunately, the glaring omissions tend to reinforce the triumph of a false narrative about the dismal record of American involvement in the Middle East, including the Reagan-Bush administration’s indifference, almost blasé attitude about the emergence of a Muslim nuclear bomb. Given Crile’s detailed discussion of this “dirty little secret of the Afghan war” in his book, the filmmakers surely can’t say they were unaware of this darker side of the story. Now in the wake of Bhutto’s murder less than two weeks after the movie’s release this omission seems even more glaring than before, at least for those who know about Reagan’s fateful bargain with Zia. The movie implicitly does acknowledge another historical irony of the Afghan war as it relates to the 9/11 attacks. The Afghan war against the Soviet infidels brought together a violent mix of Arab radicals, including the wealthy Saudi Osama bin Laden. Bin Laden and these Arab jihadists later turned their anger toward the United States, after it intervened to reverse Saddam Hussein’s 1990 invasion of Kuwait and then set up permanent bases inside Saudi Arabia. Instead, the filmmakers through Hanks’s end-of-movie lamentation lamely suggest that the big mistake was that Washington should not have left Afghanistan in the lurch after the Soviet Army withdrew in February 1989. Would such humanitarian aid to Afghanistan after 1989, similar to the later U.S. protection for the Muslim minority in the Balkans — especially Kosovo in the mid-1990s — really have made the 9/11 attacks less likely? This is a complicated question. There was a 18-month window between the Soviet Army’s departure from Afghanistan in February 1989 and Saddam Hussein’s invasion of Kuwait in August 1990 when in theory Washington and the Soviets could have put pressure on the Afghan mujaheddin and the Soviet-supported regime under Mohammad Najibullah to negotiate a ceasefire and reach some form of accommodation. Iraq’s invasion of Kuwait presented the Bush administration with other, more pressing regional problems. Even after the liberation of Kuwait in early 1991, the U.S. decided to maintain military bases in Saudi Arabia and the Persian Gulf as a check on Saddam, who retained power in Iraq. Ultimately, those long-term U.S. bases fanned the flames of radical Muslim anger and put Osama bin Laden and al-Qaeda on their path to 9/11. So, it seems doubtful that a surge in humanitarian aid to help rebuild Afghanistan after Najibullah finally was ousted in April 1992 would have lessened resentment among radical Muslims like bin Laden. Yet, as damaging as the confrontation with Islamic fundamentalism has been to America’s security interests, the more serious long-term threat may be posed by Pakistan’s nuclear weapons program, which successfully tested a nuclear device in May 1998. The Pakistani bomb has added an ominous nuclear twist to the radical Islamic “blowback,” a threat that might have been avoided if Reagan had made different choices in the mid-1980s, if he had put a higher value on disrupting Pakistan’s nuclear program than on challenging the Soviets in Afghanistan. The consequences of Reagan’s decisions were compounded by the failure of the first Bush administration to bring the warring Afghan factions to the peace table after the Soviet withdrawal in 1989. The unchecked chaos in Afghanistan then contributed to the rise of the Taliban, an organization of young Islamic militants trained by Pakistan’s Inter-Services Intelligence (ISI). After capturing Kabul in 1996, the Taliban used brutal tactics to restore order. They also offered protection to Osama bin Laden and his extremist al-Qaeda organization. More recently, those historic links between al-Qaeda, the Taliban and Pakistan’s ISI continued to concern U.S. officials as they witnessed Pakistan’s worsening political instability and worried about the uncertain control over Pakistan’s nuclear arsenal. Pakistan’s poisonous brew of Islamic radicalism, political unrest and nuclear weapons is arguably the most dangerous legacy from Ronald Reagan’s trade-offs with General Zia two decades earlier. But did Reagan have any better options in the mid-1980s? Reagan could have heeded initial strong reservations expressed by the Pentagon’s Joint Chiefs of Staff and withheld the Stingers from the mujaheddin in March 1986. But if Reagan had gone down that road, and undermined Charlie Wilson’s plans, the Soviet Army probably would have prevailed in Afghanistan. And General Zia surely would have pressed ahead with Pakistan’s nuclear weapons program anyway, though in the face of stronger U.S. efforts to thwart that program. In terms or exploring alternative history, it is also worth asking in the light of the movie “Charlie Wilson’s War” whether the Soviet empire would have unraveled anyway regardless of Reagan’s decision in March 1986 to send Stingers to the mujaheddin. 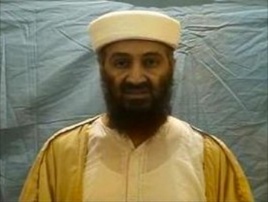 Al-Qaeda leader Osama bin Laden. There were, after all, other pressures on the Soviet Bloc, including growing internal demands for human rights, government failures to meet consumer needs, a widening gap with the West in technological innovation, and separatist sentiments among ethnic groups. Then on April 26, 1986, only a month after Reagan had to make a decision concerning the Stinger missiles, the horrendous nuclear accident at Chernobyl traumatized the Soviet leadership. This disaster encouraged Mikhail Gorbachev to reverse the policy against on-site nuclear inspections a crucial shift concerning verification that enabled the Reagan administration to conclude nuclear arms reductions in Central Europe with Moscow. And these arms-control negotiations, which prompted the departure of prominent neoconservatives (Richard Perle and Frank Gaffney) from the Pentagon in 1987, insured a decline in East-West tensions. That, in turn, encouraged popular unrest within the Soviet Bloc and the defection of Moscow’s Warsaw Pact allies within two years. Nonetheless, speculation about alternative history has its limits. As we have suggested, the fate of the Warsaw Pact and the Soviet Union hinged on many other factors. Plus, a confrontation between American and Islamic radicalism was probably inevitable given the Gulf War that drove Saddam from Kuwait in 1991 and left behind a permanent U.S. military presence in the region. But there is no doubt that in the future the disposition of Pakistan’s nuclear devices could become extremely troublesome, especially since al-Qaeda is expanding its base of support in the mountainous northwest provinces of Pakistan and these terrorists may still have powerful friends within Pakistan’s intelligence services. Unfortunately, the widely acclaimed movie, “Charlie Wilson’s War,” given its highly selective treatment of history is more likely to confuse than clarify how risky Reagan’s decisions with regard to Pakistan in the 1980s were to the long-term security of the United States. ← A ‘Silent Coup’ for Brazil? There was never a Charlie Wilson’s War, and that “fiesty republican congresswoman” did exactly “squat” as well. The Afgan Op was started by President Carter in early 1977, and bore it’s intended fruit in December 1979.I remember reading in the mid-70’s a CIA report that “approx. 1989 USSR economy will collapse due to excessive military spending”. So President Reagan had exactly ” squat” to do with USSR collapse. Did the Afgan Op help? The CIA finding was written before Afgan Op, draw your own conclusions. Regarding the Pakistani bomb program, it was a inevitable reaction to India testing a device in 1974, the timeline relation is obvious. Notably, India’s A-bomb program started in 1948, and is not related to China. The India/China conflict was over Arunchal Pradesh, which is Chinese territory seized by England in 1912. Mao was always scrupulous on sovereignty, but no nuclear war would occur over this minor, and since resolved diplomatically, dispute. It should be noted that India tested an H-bomb in 1998. It is the threat of India’s nuclear weapons that drives the Pakistani nuclear program. India’s bomb program was initiated without any external threats for no rational reason, Pakistan’s A-bomb guarantees that nuclear weapons cannot be used against it by India. Due to Pakistan’s natural ethnically decentralized political structure, it is the Pakistani military that maintains sovereignty, and the Pakistani Officer Corps are Sandhurst through and through, not wild eyed Islamic radicals. When I was a kid our history teacher noticed the rise in our interest level of history, due to Sherman and Mr Peabody’s cartoon antics. Movies, and even (especially) books about certain historical events should only lead the reader (if interested) to investigate the subject all the more. I know people who after seeing Jesus Christ Superstar, decided to read the Bible. To watch the 1930’s version of Errol Flynn portray General George Custer (They Died with Their Boots On) definitely should encourage a learner to study more about that egotistical military man, because the movie is no where near the truth of what he and the situation with the Native Americans was all about. I didn’t go see the Charlie Wilson’s War, because somehow I knew it wasn’t going to be an accurate account of what really went on with that Afghanistan/Russian conflict. Although, to my own disappointment I did watch that Zero Dark Thirty piece of propaganda, and was totally convinced that they are out to get us with their lies, no matter what. Now, should we talk about the Single Bullet Theory?